In my last big blog post back in October I promised a lot. I’ve done well in some areas but less well in others. This post is an honest reflection of where I’ve gotten to 3.5 months later; on how travelling was amazing, learning is underway and communicating needs a kick-start. From mid-October to mid-December I travelled to Rwanda, Namibia, Zambia, Zimbabwe, Botswana, Malawi and back into Tanzania. I bungee jumped off Victoria Falls bridge, climbed Mount Mulanje, spent time with gorillas, sandboarded down massive dunes and hunted porcupine with bushmen in the Kalahari. I travelled from the Atlantic to the Indian Ocean by bus. I took many many photos and improved along the way. I made the most of the freedom travelling alone gives to change plans at the last minute, go to bed when I wanted (normally early) and meet many fascinating people. I have many stories to tell. I’m the one on the left. 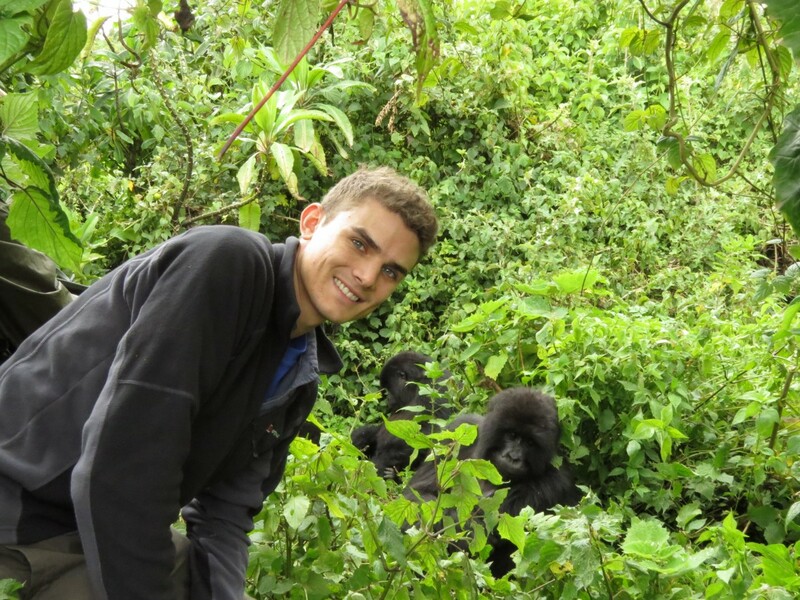 Gorillas in the Amahoro Group in Northern Rwanda. I found the most rewarding experiences were when I was taken away from social media and technology to be in the middle of nowhere in eastern Namibia or up a mountain in Malawi. I was able to get the kind of clarity that is difficult to achieve when your smartphone is buzzing with the next ‘urgent’ notification. Fortunately, it became clear that I was already going in the right sort of direction, although the final destination remains unclear. It also became evident that in some ways I was not doing so well – in terms of learning and communicating. I had big plans for my time travelling. And I still do for when I travel again. However, it’s really hard to get things done when you are looking for shelter, food, electricity and internet before you can settle down. Maybe I didn’t do enough preparation before I left Zanzibar; I could have got everything ready to go so I didn’t have to think about it on the road. But then again, I had the best time of my life in my last few weeks on the islands. When I did manage to sit after satisfying the first couple of layers of Maslow’s hierarchy of needs, I felt like I was always catching up on events, blog posts, social media and email. I was also maybe aspiring to do too many things – and as I often told my colleagues in Zanzibar, if everything is a priority, nothing is a priority. 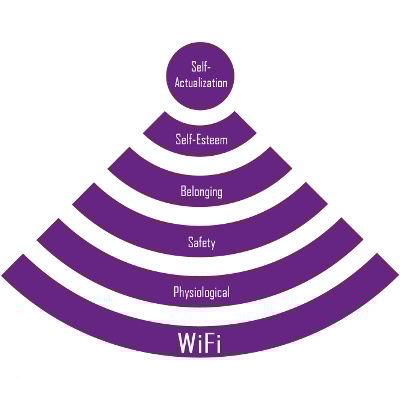 Hierarchy of Needs in 2016? Since mid-January I’ve managed to stay in one place (my family home) for two weeks and now with my partner in Amsterdam for the whole of February. This stability is allowing me to create new routines that allow me to focus. I’m (re)learning how to prioritise and focus, using old and new techniques. Getting started takes concentration and sustained effort but I am now building up momentum and getting into good daily habits. I’ve found the ideas of The Minimalists helpful here – to declutter not only in terms of physical objects but also, perhaps more importantly for me, how I spend my time, especially with regards to the internet and my electronic devices. Thus I am slowly taking away distractions – switching off almost all mobile notifications for example and hiding Facebook – to be able to concentrate on what matters. Next up I’ll get going with photography, Excel, Photoshop and more. I’m a beginner at many of these things – when I tried to speak French in Paris last week I started speaking Swahili – and so often I feel the need to pacify myself with a YouTube video. Our minds often divert us away when we challenge ourselves. (It happened just now when I googled something for this article and ended up on a link trail – ironically about minimalism). This has been my weakest area thus far. Blogging is something I’ve declared many times over that I want to do and I’ve made many a false start. It often ends up as the last thing on my to do list, languishing behind more urgent, less challenging tasks. I’m now crafting a writing habit – a daily routine where writing is the first thing I do each morning. Blogging can bring together the other things I’m learning about as I discover what I enjoy writing about and indeed more carefully present what I believe. This will make me a better communicator, thinker and employee. Often we curate our social media presence to show ourselves in the best possible light. With this reflection, I wanted to share what’s happening with me beyond star jumping on the top of sand dunes. I’ve struggled to achieve what I intended without an externally imposed structure. I’m having to create my own habits, my own urgency. Some days I fail at this and take the easy way out. But gradually I’m creating an environment which allows and encourages me to succeed rather than distracting me (I recommend this Self-Control app to all Mac users). I’m making no rash promises of five blog posts per week but if I write every day, I should be able to produce regular content and improve as I go. Experimentation. Reflection. Change. I’m trying to Do (personal) Development Differently. I’d love to hear from anyone who has had similar struggles – whether you’ve found a way through it or not.